Last week I wrote a very tongue-in-cheek criticism of Travis County officials for their new method of charging fees to visit the Hamilton Pool Reserve. Behind the scenes, however, I have a very good working relationship with the Travis County Commissioners Court. I simply could not resist jumping into the pool fray on this blog. Now, the ball is in their Court, literally. I have reached out to Commissioner Gerald Daugherty’s office, since his Precinct 3 is where the park is located. My suggestions for reforming the fee structure and the method of collecting the fees, taking reservations, etc. will be considered and reviewed with the appropriate County Parks staff. How Do They Do This Kind of Thing In Other Counties and Other States? Well, I found some answers. 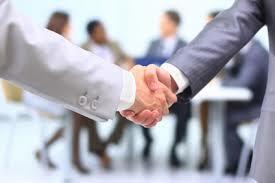 And this is how I think we can close the deal – signed, sealed and delivered. In the section below the picture, I will lay out the differences in rules and policies in other places, side by side with how it’s now being done during Hamilton Pool’s peak season here in Travis County. The Travis County information is taken directly from this Travis County Parks Webpage. Travis County: “Once you make your reservation, you cannot change the date.” (This means that if you are a tourist or are otherwise unable to go on a later date, then you forfeit the $10.00 registration fee). Travis County: “You pay online for your reservation fee, and pay for your (separate) entrance fee with cash or local check when you arrive at the preserve.” (This means that if you don’t have a credit card because you are economically disadvantaged, then you cannot make a reservation, and therefore, you cannot come to the park). Bexar County (San Antonio), Texas (found here under FAQ’s & Info): “Reservations made online through this system must be paid at the time of reservation with a major credit card. We accept Visa, Mastercard, American Express, and Discover. Reservations can be made in person with cash or check. If you would to make a reservation in person, please visit our office downtown.” (Travis County could go further, by offering this service both downtown and in other office locations). 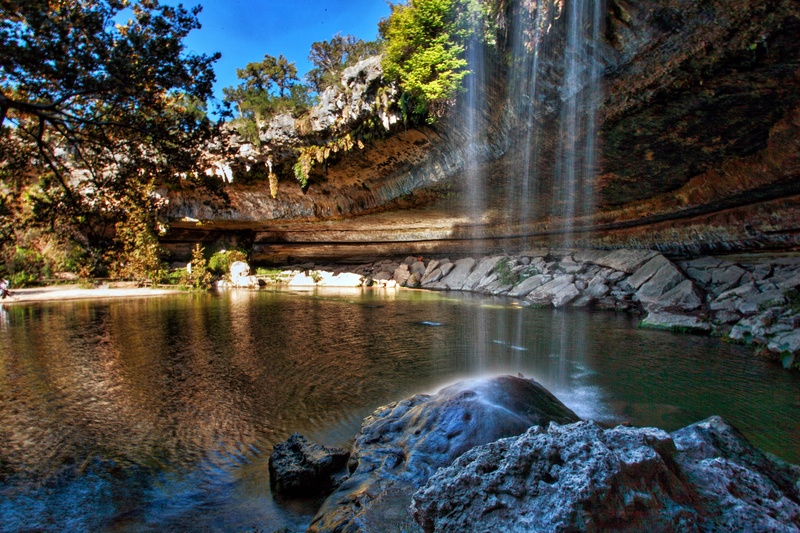 Why Does Travis County Need Two Separate Fees for Hamilton Pool? The dual reservation plus entrance fee policy has resulted in a dramatic skyward leap for the total cost, from $15 per vehicle to $26. Parks staff have told the Commissioners Court that there are “too many tiers” of entrance fees to allow them to charge each visitor a single up-front fee. Visitors on bicycles, pass holders and seniors with discounts all pay different entrance fees. But the last time I booked anything online, I found a wide range of options and I never questioned whether the 21st century computer system could handle the complexity. It would seem to be far more efficient and certainly more convenient for the park visitors to make just one up-front payment to cover both the reservation and the entrance fee. 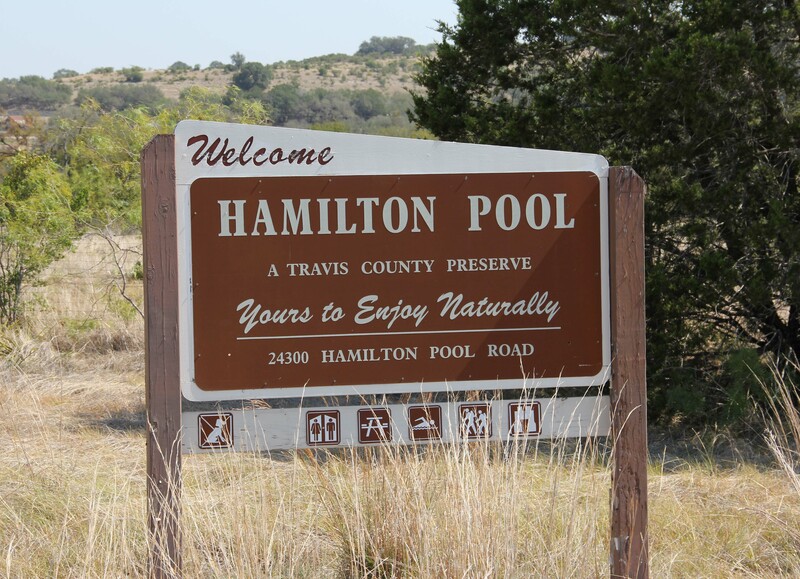 And as I mentioned in my previous blog posting, the County is saving huge amounts of taxpayers’ money and resources during the peak season for Hamilton Pool. Much fewer Parks staff are needed without the overflow crowds and the parking madness that occurred before the new reservation system was adopted. So, logically, the total fees charged to the park users should be lower, rather than higher, than they were under the old system. Does the County Park system need more overall funding in the budget? If so, that is a separate issue altogether, and it should not create an undue burden for Hamilton Pool visitors. Visitors and citizens of Travis Country are the guests of the hosts who provide the public services. Our County officials should not let themselves be outdone by California or anyplace else when it comes to the Gold Standard of Excellence that they should strive to achieve. Policies should be as flexible, convenient and socioeconomically inclusive as possible. All of our parks should be accessible to anyone who wishes to come and enjoy them. This entry was posted in General Affordability Updates and tagged Austin, Austin affordability, Hamilton Pool, Travis County, Travis County Commissioners, Travis County Parks on June 1, 2016 by Bill Oakey. Personally, I believe Barton Springs should be free to anyone who can correctly identify Hondo, Creekmore, John Henry Faulk, Frank Dobie, Walter Prescott Webb, Roy Bedichek, Clara Driscoll and Bob Armstrong. Totally hilarious! And I agree.